Ankara notified the US and international coalition of plans to strike Kurdish-held areas in Syria and Iraq “weeks” in advance, the Turkish foreign minister said. Washington claimed the operation was “not approved by the coalition” raising deep concerns. The Turkish Air Force hit the respective areas on Tuesday, claiming that dozens of “terrorists” were killed. 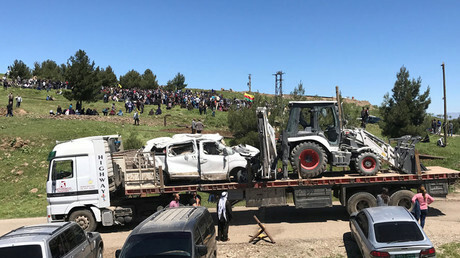 The targeted territories had been allegedly infiltrated by members of the Kurdistan Workers Party (PKK), which Turkey considers to be a terrorist group, according to Turkish Army statement. 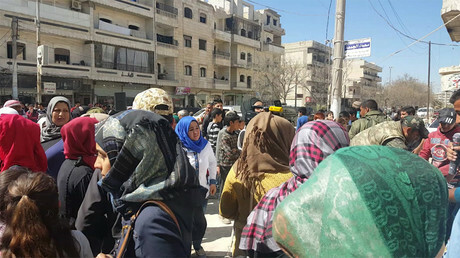 Local Kurdish militias the People's Protection Units (YPG) and Peshmerga, however, said the strikes had hit them instead, giving of a lower number of dead and wounded among fighters and civilians. Yet the operation has not been kept secret from Moscow, Washington and the US-led coalition, as Turkey had notified all of the respective parties beforehand, according to Turkish FM Mehmet Cavusoglu. “We informed our US allies that we were going to undertake this operation. We told them to pull their troops 20-30km south away from our borders. We notified the US and Russia within two hours before the operation, in accordance with our agreements,” Cavusoglu said. “We notified the Qatar-based coalition coordination center. If someone says that there was no exchange of information there, I openly disagree with that. Over the past few weeks, we’ve repeatedly notified our US allies through military and diplomatic channels that we would undertake this operation. We don’t have a hidden agenda. When there’s a threat to us, we have a right to defend ourselves,” he added. 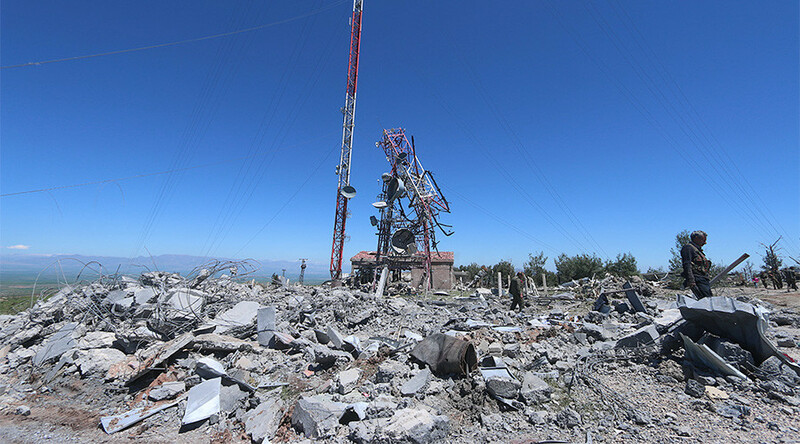 The US has expressed “deep concerns” over the Turkish strikes, stating that the military action was “not approved by the coalition” US State Department spokesman Mark Toner told reporters on Tuesday. “These airstrikes were not approved by the coalition and led to the unfortunate loss of life of our partner forces in the fight against ISIS [Islamic State or IS] that includes members of the Kurdish Peshmerga. I would also note that the concerns – or rather note the concerns expressed by the government of Iraq and reaffirm our view that military action in Iraq should respect Iraqi sovereignty,” Toner said. Despite the incident, “Turkey remains a close partner and a strong NATO ally,” Toner stated. Meanwhile Turkey conducted new airstrikes on Kurdish-held regions in northern Iraq on Wednesday, killing six militants, according to a Turkish military statement cited by Reuters. “We are obliged to take measures. We must take steps. We shared this with the US and Russia and we are sharing it with Iraq as well,” Erdogan told Reuters.